Here at Calder Screen Print we have over 25 years experience in printing Band T Shirts. In fact, we’ve printed band T shirts for so long it feels like we invented the concept of Band T shirt printing! Distinctive band merchandising really gets your band noticed. Band merchandise from Calder Screenprint is much more affordable than you might have thought. 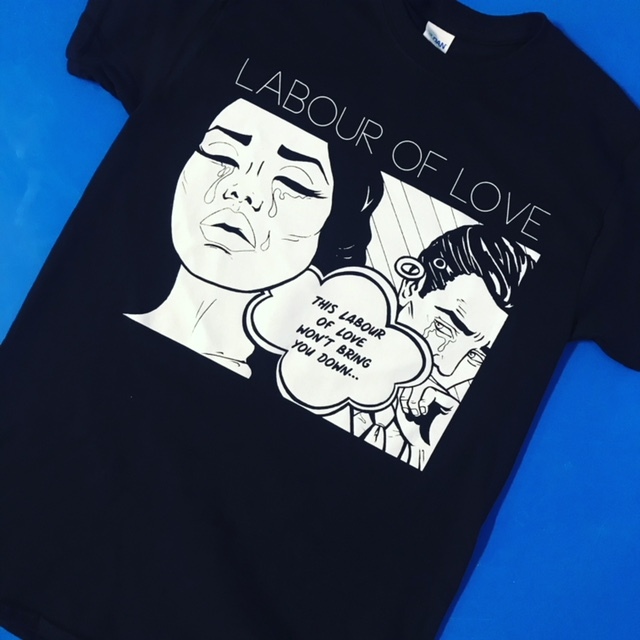 At Calder Screenprint, we offer both band t-shirt screen printing and direct to garment print and we can talk you through which is the best option for you. Screen printing for band t-shirts is ideal for simple logos/designs that only have a few colours within the design. Direct to garment printing is ideal for band t-shirt printing which have more complex designs and differing designs requiring a number of smaller print runs. Direct to garment t-shirt printing is more costly than screen printed t-shirts, however, there is no minimum number required and is more suited to smaller orders with multi-coloured designs. Too many forms to fill in on the Internet these days! We like to make it easy to order your Printed Band T shirts. Simply call us on 01422 377799 and we’ll talk to you in plain English on how to order your printed band T shirts.